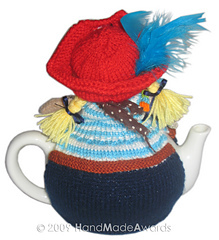 What a lovely tea cosy! 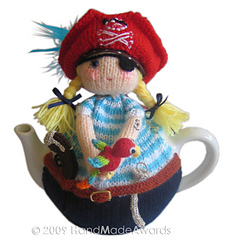 The adorable Pirate wears a cutest knitted turquoise blue, white and navy blue suit with lovely knitted belt, pretty knitted red hat with cute embroidered skull, polka dot headscarf and fun knitted patch. 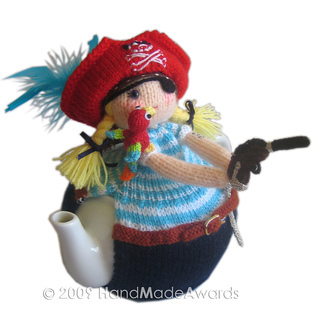 She has an adorable knitted parrot, cute gun and lovely crochet sword. 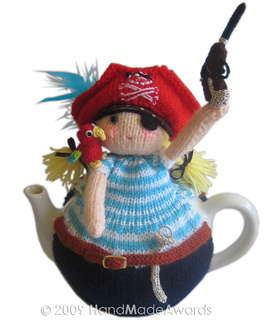 Pirate is knitted with lovely bright colors. 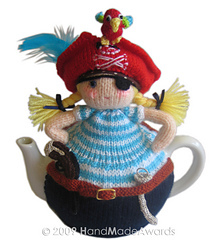 She has a beautiful blue glass eyes and yellow hair with braids. 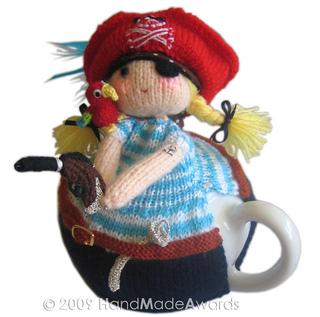 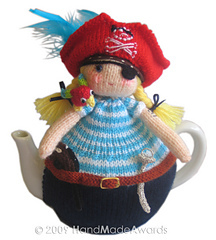 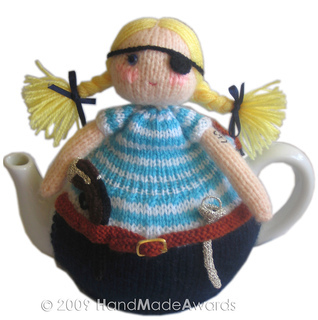 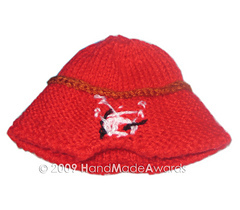 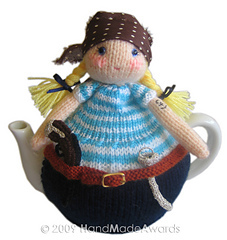 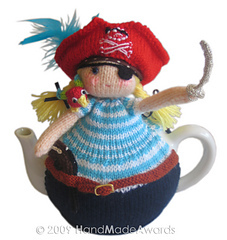 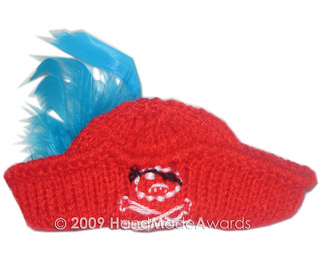 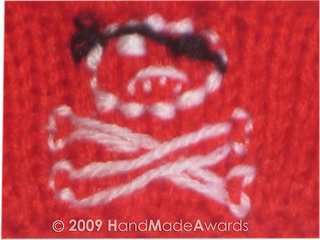 Pirate tea cosy is designed by the spanish artist Loly Fuertes for HandMadeAwards. 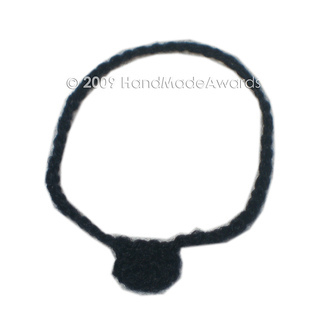 Very easy to knit, all our patterns are knitted flat, with classic needles- no knitting in the round. 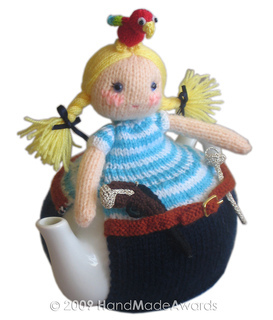 Just knit!